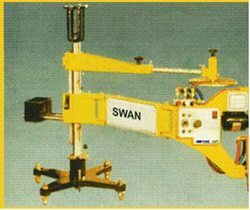 We are one of the leading manufacturers and suppliers of high quality and extremely durable Profile Cutting Machine Swan. It is manufactured using high quality raw material acquired from reliable sources. 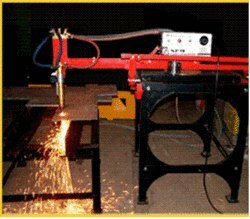 These profile cutting machines are available in various sizes and choice of machines with different cutting speed. These cutting machines are in great demand from our customers worldwide. We also fabricate these machines to fulfill personalized requirement and specification for our esteemed clients. We are engaged in manufacturing and supplying SPM Profile Cutting Machine- Gas/plasma, 1meter x 1meter which are specially designed to cater client’s demand. These machines can be effortlessly carried to the workplace as they are small in shape and light weight. In addition to this we can also place these machines straight away on the piece of plate to be cut. These machines can cut 3 mm to 150 mm thick mild steel. These cutting machines are available at very reasonable and competitive rates. Looking for Template Type Profile Cutting Machine ?